We are happy to provide you with a self-assessment to see if McQuaig Psychometric System will match your needs. NOTE: we can only send the assessment to the BUSINESS EMAIL Address. To download the sample report click here. It is not only important to have an 'unbiased' pre-employment assessments as part of the recruitment process but also to have assessments that can be understood and used by 'line managers' and not just HR. Many times implementations fail because the solution is so complex that only 'certified' individuals can understand and use it. Download our sample report and see for yourself how easy it is to understand and use McQuaig's 'candidate' report by anyone. You do not need to be a certified psychologist or psychometrician to use The McQuaig Psychometric System! Do you know who your next slate of leaders are? Do you know what type of person will be needed to succeed in each future leadership role? What about who has those traits in your company now? Click here to book your McQuaig FREE TRIAL! You can also invite 4 other colleagues at the same time! The cost of hiring the wrong person can be huge. So can turning over the right person. The key to avoiding both these scenarios is to understand what type of person is best suited to succeed in a specific role at your company, and how to asses for those traits in a candidate. Through this webinar, you'll learn the Three Levels of Assessment, what each will tell you about a candidate and how to assess a candidate for each level in the interview and during reference checks. No more guesswork: Learn how to get and use the data you need to reduce the reliance on "gut feeling" when making hiring decisions. Improve your interview process: Get better interview results by using customized behavioral interview questions and probes that get at the critical, but hard to reach Third Level of Assessment. Focusing on behavioral factors that are relevant to success of the job, managers use their time more effectively and make more-informed decisions. Learn the secret power of the most overlooked step in the recruiting process: creating a 3-D profile of the ideal candidate and how to use it as a measuring stick. LinkedIn's fifth annual Global Recruiting Trends report, which is available for us all to download here, reveals the findings from almost 4,000 talent leaders around the world and presents the industry’s top priorities, challenges and opportunities ahead. If that all seems like too much trouble then have a look at this super infographic produced by Lucas Blake. Is being an effective leader something you’re born with, or can you acquire those skills over time? And are there core elements of leadership that never change, or do you have to change and adapt with the times to remain effective? Those are questions that have been asked for as long as I can remember. It’s also something that wasdiscussed by a panel of experts last year and what they had to say may hold the key for those of us trying to become more effective leaders, or trying to find the right kind of leaders for our companies. The panel discussion took place as part of McKinsey’s Leadership Development Practice and included Helen Alexander, former CEO of The Economist Group; Robert Kegan, the developmental psychologist and author, from Harvard University; Nadir Mohamed, former CEO of Rogers Communications; and McKinsey partners Claudio Feser, Mary Meaney, and Tim Welsh. One of the themes that came out of the conversation was that there are both timeless and changing aspects of leadership. Technology, business cycles, and markets are all moving and shifting faster than ever. Part of being an effective leader is having up-to-date skills and knowledge relevant to the job, according to Tim Welsh. Those things change with time and stages of a business’ natural evolution. Leaders need to be willing and capable of learning to remain effective. Arguably, this ability to learn is more of a timeless trait. While the group generally agreed that the traits of an effective leader consisted of a combination of timeless and changing aspects, more of the conversation focused on the importance of those timeless elements. Claudio Feser noted that “several studies suggest that open-minded, conscientious people who are emotionally tuned to take charge tend to be stronger leaders than people who aren’t.” And these core personality and character traits are set by the time you enter the workforce. Self-awareness also stood out to the group as an essential trait of an effective leader, which Robert Kegan said has always been a required quality of a leader. This is also something that tends to be a core character trait and not something that is learned. So, the organization looking for the right kind of leader needs to be assessing for both timeless character traits and more changing aspects of skill and knowledge. Before you can do that, though, you need to identify which of those traits will enable a leader in your company to succeed. That means developing an ideal candidate job profile, or Employee Persona. Be sure your profile is three-dimensional so you get a true picture of what a successful leader will look like and use it as both a tool to help find and engage with candidates and as a target to measure candidates against; or, in the case of existing staff, develop them toward. Assessing for skills and knowledge is best done using behavioral interviewing techniques that ensure you identify candidates who not only possess the right ones, but can demonstrate that they have used the skills and knowledge you’re looking for. To assess more timeless character traits, your most effective tool is a behavioral assessment. This will allow you to accurately predict how someone will behave on the job and whether they possess the core traits you’re looking for. If you follow our recommended process and complete a Job Analysis before assessing candidates, you can actually get back level of fit measure and customized interview questions to help you with your interviews. In much the same way a recruiter looking to find a leader needs to start with a target, to develop your own leadership skills you need to first identify the traits that spell success as a leader in your field. Find out what others say is required to be an effective leader; including skills, knowledge and character traits. Then compare that profile with yourself and identify strengths and gaps. On the character/behavioral side, a self-assessment will provide you with a detailed view of your core personality with respect to work. This kind of insight also dramatically increases your level of self-awareness, a key trait according to all the experts. The McQuaig Self-Development Report includes a personal work plan along with your profile to help you create action steps that lead towards leveraging your strengths. There’s more on identifying your own leadership strengths here. Are You Picking the Right Kind of Leader? Most executives are not happy with their organization’s succession management program, despite recognizing the importance of such activities. Those sentiments are taken from reports created by Stanford University and the Institute for Executive Development. If it sounds like something your organization is struggling with, you’re not alone. In fact, you haven’t been alone for a long time. Back in 2002, an article in the Harvard Business Review made the case that succession management was ineffective in many companies and also proposed an approach to fix what was ailing them. In the article, authors Melvin Sorcher and James Brant, noted that senior executives often make decisions about succession candidates based on unbalanced and inaccurate information. They tend to overvalue some attributes while undervaluing others. Being a Team Player – Those who manage by consensus are often looked on favorably because they keep the peace and make it easy on their superiors. They don’t often make the best leaders, though. A more desirable leadership characteristic is someone who is an independent thinker and more prone to taking risks. Hands-on Coaching – Being too hands-on as a coach is another area, the authors say, where executives place too much value. Many excellent leaders, they assert, actually prefer to select strong people, delegate and allow them to learn from their own mistakes. Operational Efficiency – People who are good implementers and problem solvers are often over valued as well. This is kind of the Peter Principle in action, where people are promoted to their level of incompetency. “Being able to solve a problem is one thing,” the authors write. “Knowing which problem to solve – and taking the initiative to solve it – is another.” Here they also flag the risk of not considering how results are achieved. A high achiever who gets results through manipulation will not make a good leader. Dynamic Public Speaking – How many times have you heard that the ability to get in front of a big room full of people and wow them is a key leadership skill? Not so, according to the article. This skill can be coached and should never be the basis for dismissing a candidate. Much more important is the ability to connect and influence one-on-one. Ambition – A lack of ambition can be a black mark against a candidate for a leadership role. If they don’t seem hungry, let’s give it to the person who is because they’ll give it their all, the logic goes. The problem is that ambition doesn’t have to be overt, and the presence of it doesn't compensate for inadequacies elsewhere. Modesty and humility are much more predictive of future leadership success than raw ambition. Similarity and Familiarity – Many top executives fall into the trap of favoring those who are most similar to themselves. Differences in background, experience, culture or geography can cause promising candidates to be overlooked. Often the bias is not even conscious, but it guides decision-making from behind the scenes. At McQuaig, we call this the First Level of Assessment. other executives who have worked closely with the candidate. This discussion leader must also root out biases and insist on concrete examples to support positive and negative assertions. Often what happens in these groups is that one person’s impressions may spark similar memories in others who support it. For example, the authors cite an example of one manager reluctantly sharing some information with the group that got other participants telling similar stories, and what emerged was a pattern of manipulation for personal benefit on the part of the candidate. Another example discussed a project manager who had strong analytical skills, but when pressed for specific examples, members of the group began to tell stories that painted a picture of a great, reactive fire fighter who was unable to see these potential fires in advance and proactively deal with them. If participants can’t provide specific examples of how someone has, for example, ran an international division, the group might develop a plan that requires the candidate to demonstrate the skills and behaviors required to do so. The trick to good succession planning is providing senior leadership with the right information and sifting through the many subtleties of leadership and getting at the core of a candidate’s success and potential. Then you set yourself up to pick the right kind of leader. The consultative selling process is a quest to uncover your potential customer’s needs and how you can fulfill these needs with your offering. Here’s a graphic representing a typical sales process. There has been a significant rise on the number of jobs being advertised on social and professional networks. That's a good sign for job seekers, provided they are genuine, the more jobs the merrier. However on the flip side the grass isn't always green. To employers means profile view requests in addition to the profiles coming through email/application channels. This is where quantity doesn't guarantee quality. In fact in most cases it ignites chaos and missed opportunity for genuinely good applicants. One of the challenge is how to identify the right fit from the fat? Most hiring professionals and psychologists agree that technical qualifications only constitutes less than 30% of the candidates probability of succeeding on the job. One of the most important factor for success on the job is the persons temperament that consist of traits which determine his/her probability of success on the job. 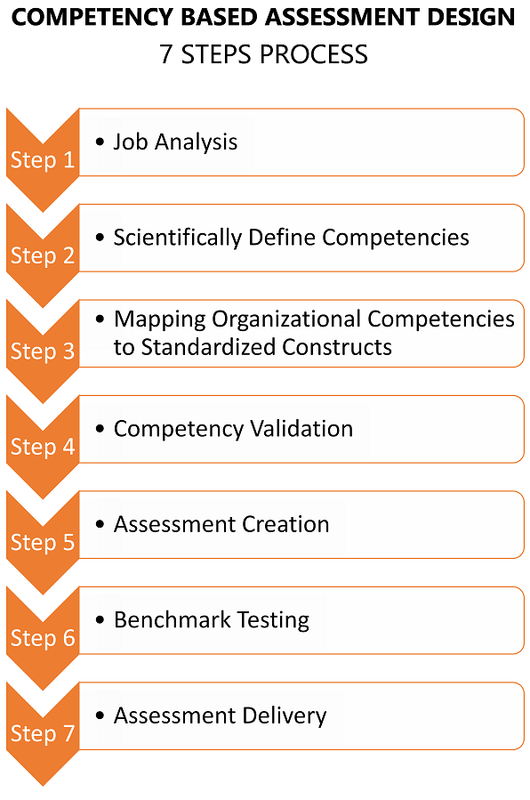 How are you identifying these traits and measuring them in candidates to select the right fit?